Dr. 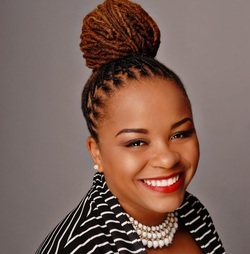 Crystal A. deGregory is the founder and executive editor of HBCUstory, Inc., an advocacy initiative preserving, presenting and promoting inspiring stories of the Historically Black College and University’s (HBCU) past and present, for their future. A passionate believer in the historic mission and contemporary vision for the nation’s HBCUs, she is the convener of the annual HBCUstory Symposium. A native of Freeport, Bahamas, she is a proud alumna of the historic Fisk University; and she received her master's and doctoral degrees from Vanderbilt University. Entitled "Raising a Nonviolent Army: Four Nashville Black Colleges and the Century-Long Struggle for Civil Rights, 1830s-1930s," her dissertation focuses on the role of these colleges and their students in the struggle for equality, justice and civil rights in Nashville, Tennessee. Dr. deGregory’s research and teaching interests include black education in 19th and 20th centuries--with special attention to black colleges as well as the relationship of HBCUs to the modern Civil Rights Movement. She continues to explore interrelationship of these institutions and their civil rights efforts to the wider African Diaspora where they helped engender the social and political development of fledgling black nations such as the modern Bahamas. Her newest work, the chapter “The Relationships of Revolution: Martin Luther King, Jr., the Civil Rights Movement and Political Change in the Bahamas” was published in August 2013, as a part of the book In an Inescapable Network of Mutuality: Martin Luther King, Jr. and the Globalization of an Ethical Ideal. Dr. deGregory is also editor of Emancipation and the Fight for Freedom (2013), the sixth volume in the 12-part series Tennessee in the Civil War: The Best of the Tennessee Historical Quarterly. Her other published work includes contributions to The Journal of Tennessee State University (2012), Encyclopedia of African American Popular Culture (2011) and Freedom Facts and Firsts: 400 Years of the African American Civil Rights Experience (2009). Her advocacy work includes serving as one of four doctoral-holding African-American female hosts of Black Docs Radio and regularly contributing to The HBCU Digest. Dr. deGregory serves on the board of Historic Nashville, Inc., is a 2014 fellow of the New Leaders Council's Nashville Chapter, and she is also a member of several professional and service groups including Delta Sigma Theta Sorority, Incorporated. History matters. As a historian, I believe, teach and maintain in the face of all odds that while history is meant to serve many purposes, one of them is not for historians to produce unfeeling and/or uncritical narratives of the past. Teachers matter. As a teacher, what we believe, what we teach and what we write all matters. And what we believe, what we teach and what we write should matter to us. HBCUs matter. As an HBCU advocate, I believe in the transformative power of history and of education. I’ve been a witness to as well as the beneficiary of how the two can come together to change lives. As an HBCU student, they changed mine. HBCUstory matters. As the founder and executive editor of HBCUstory, Inc., I provide an opportunity for members of the HBCU community to support positive stories reflecting the great work HBCUs have done and are doing. Our advocacy efforts encourage HBCUs to craft their own stories, and encourages academicians to consider HBCUs as subjects worthy of serious study. And, perhaps, even more importantly, HBCUstory compels HBCU supporters to take an active role in ensuring a bright future for these giants in the pantheon of American educational history.